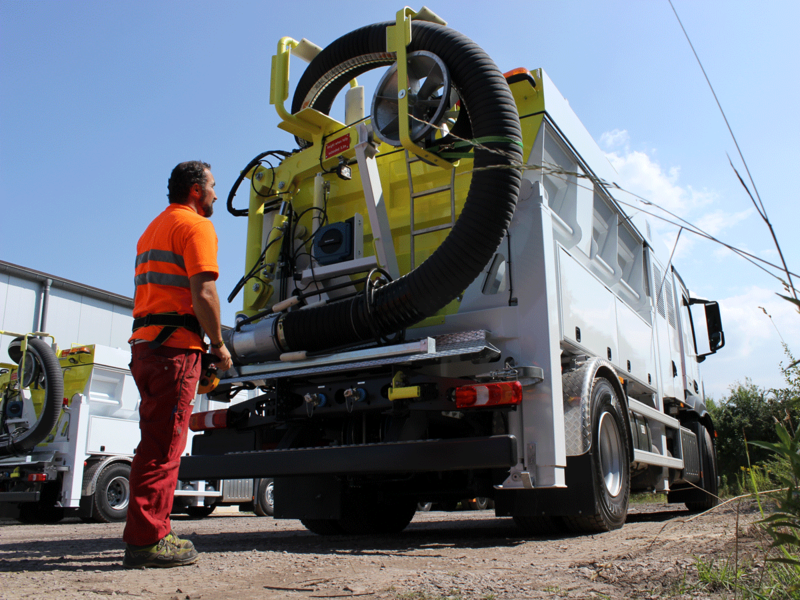 The combination of small dimensions and installed suction capacity makes the ESE 4 the ideal solution for inner-city excavations in confined spaces. 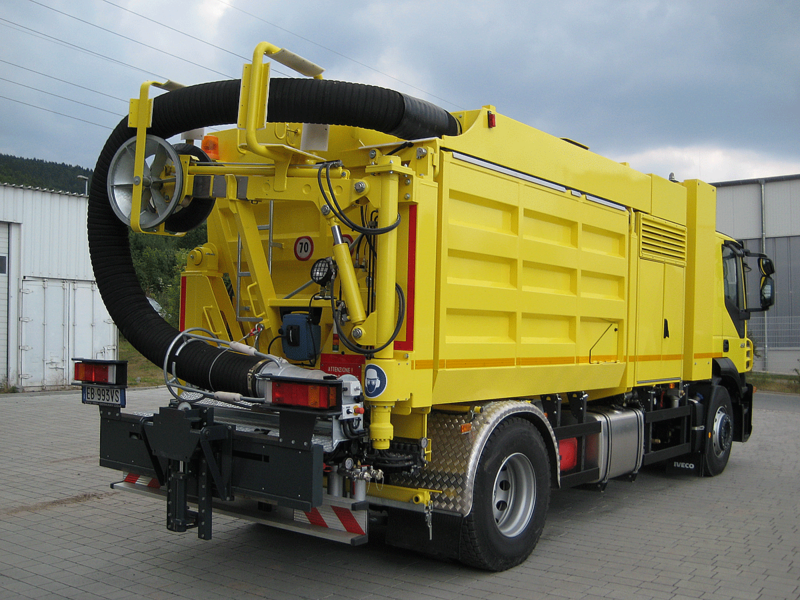 The overall width of only 2.30 m enables narrow streets and small building sites to be negotiated without any problems. 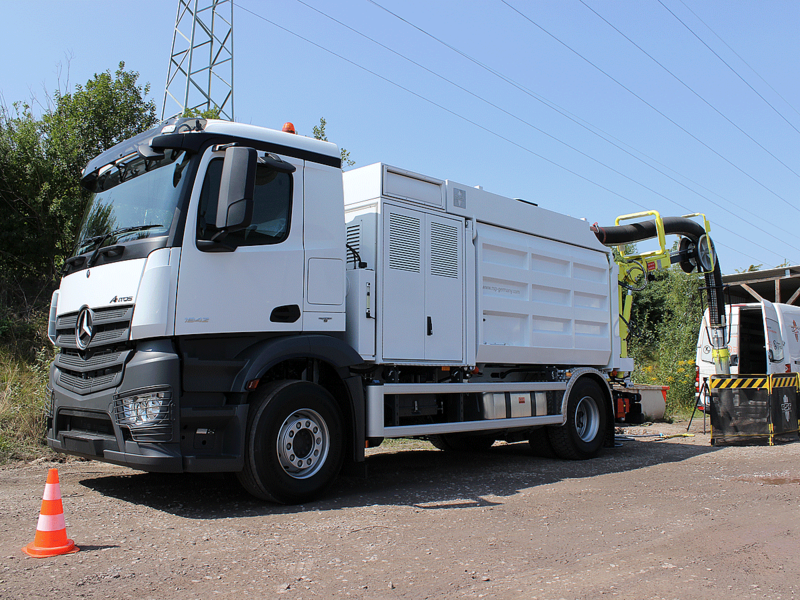 The machine impresses in everyday use with its capacity of 4 m³ and a tipping axis height of 2.10 m. The superstructure can be mounted on all twin-axle chassis (4 x 2) with a wheelbase from 4200 mm, a vehicle width from 2.30 m and a maximum permissible gross weight of 18 t. The chassis engine should have at least 210 kW. The jointed hose carrier MINI has a working range of 1.50 m to 4.10 m. It is the perfect choice for this compact work machine. The fully hydraulically guided jointed hose carrier can be moved using four joints. 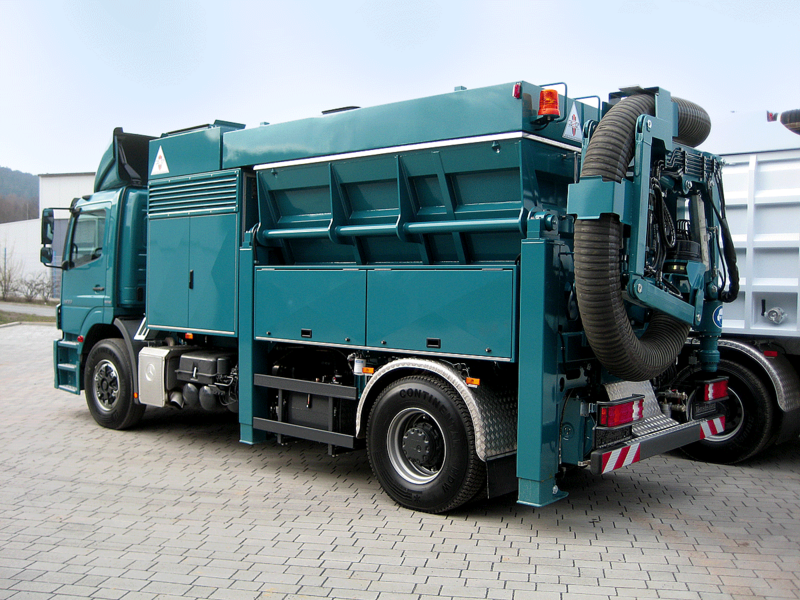 This enables you to work very near to the rear of the machine or at a distance of 4.10 m.
Of course, various accessory parts such as the rotating fitting can be operated with the jointed hose carrier MINI. A connection for external hydraulics is necessary to do this. The electronic on-board information system with the large monitor makes it easy to keep all operating states of the machine in view - both in the cockpit and at the rear when working. Information, registration, control, monitoring: It reliably provides all decisive data and parameters on the operating state of the ESE 4. The RSP Telematics coupled to the control informs you about the current status of the vehicle at any time in the web or as an app. The perfect suction quality of the compact class from RSP speaks for itself. 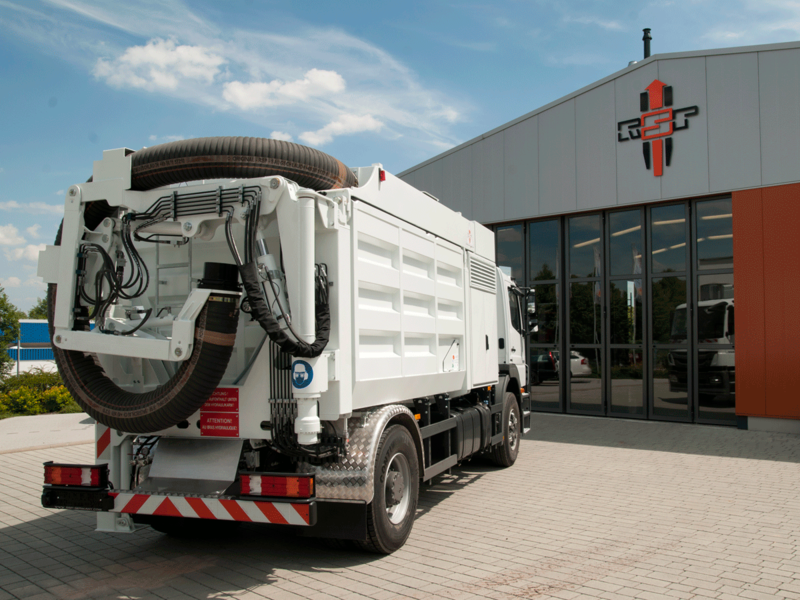 The ESE 4 from RSP is the ideal machine for smaller and medium-sized companies that want to use a suction excavator of their own. 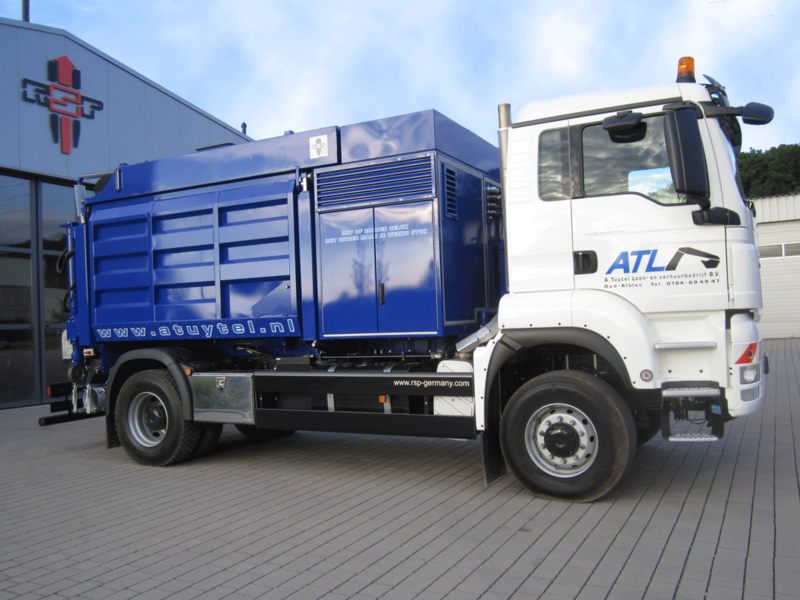 Compact, powerful, reliable and equipped with all advantages that one expects from RSP machines: convenient to use, economical to maintain and servicing is a breeze.